There’s something ridiculously comforting about a mug of gluten free tomato soup, don’t you think? Rich and tasty, my tomato soup recipe is seriously easy to make and is basically a hug in a mug. No fussy ingredients, just grab what you’ve got in the fridge and cupboards and throw it together. It’s the best recipe for a cold Sunday afternoon, and lovely served with crusty gluten free bread. 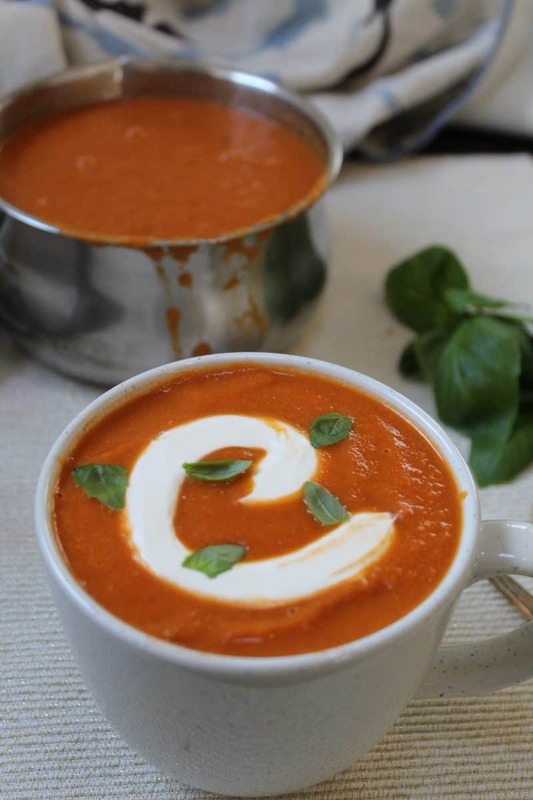 This gluten free tomato soup recipe is also really cheap to make – all you need is a few vegetables, a load of tomatoes and a few extra bits such as gluten free stock. I used the Knorr vegetable stock cubes but there are loads of gluten free gravies and stocks out there – check out my handy guide if you need a hand to find some! 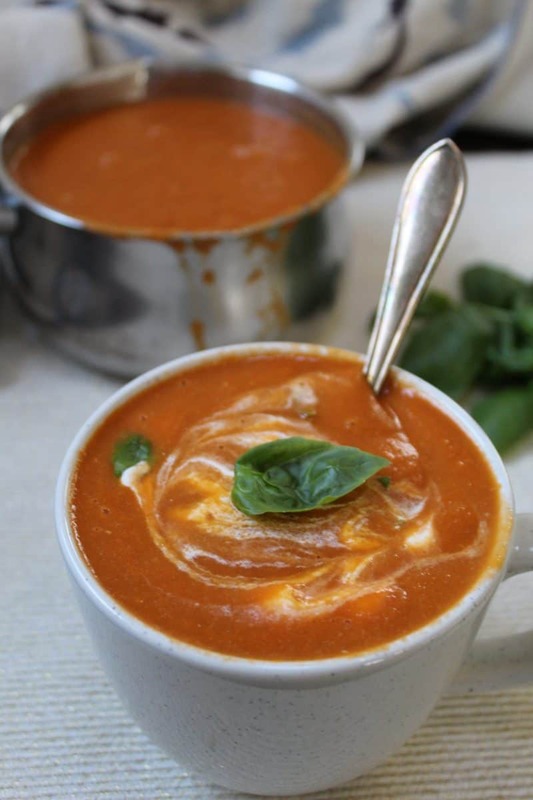 I like to finish my gluten free tomato soup off with some fresh basil and a swirl of crème fraîche – I love the way the creaminess cuts through the sweetness of the tomatoes. Some tomato soup recipes add a little sugar, but I think this is sweet enough as it is. I like to add a little balsamic vinegar as it adds to the richness of the soup, but you could omit this if you like. And if you love this gluten free tomato soup recipe, don’t forget to check out my other soup recipes too! My gluten free and vegan beetroot soup is a wonderfully rich and pink soup which will brighten any day, while my curried potato soup is lovely and cheap to make and comes with some fantastic gluten free garlic croutons too! 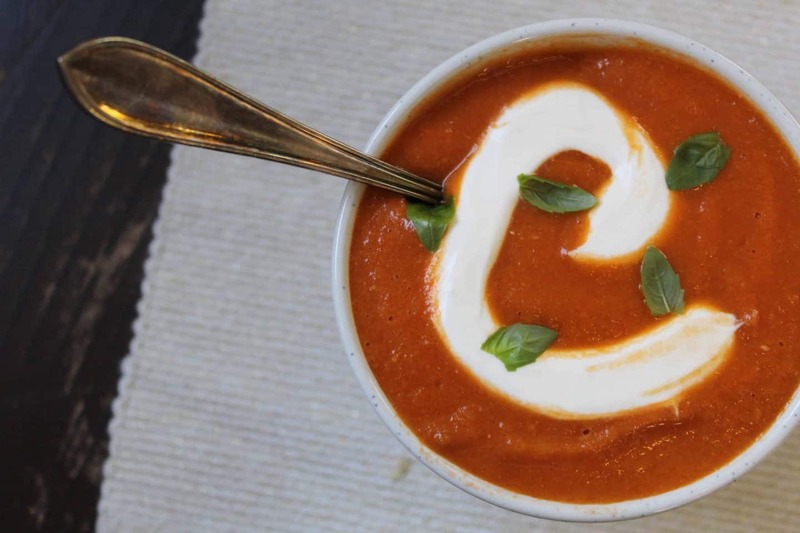 This gluten free tomato soup recipe is like a hug in a mug, with fresh basil, a hint of balsamic and a dollop of crème fraîche. Add the olive oil to a large pan and heat. Add the onions, carrot and garlic and cook on a medium heat for 8-10 minutes, stirring occasionally, until they start to soften. Add the tomatoes, stock, balsamic vinegar and tomato puree and stir well. Put the lid on, bring to the boil, and then turn down to a simmer. Leave to simmer for 30 minutes, stirring occasionally. The tomatoes should fall apart completely. Turn off the heat and leave the soup to cool for 5 minutes. Add to a blender and blend until smooth (you may need to do this in batches if you have a small blender!) Pour into bowls and swirl crème fraîche into each bowl. Sprinkle with ripped fresh basil leaves and serve. So there you have it, my gluten free tomato soup recipe, the perfect lunchtime treat or starter for a nice meal! You could definitely try this with a gluten free crusty baguette or some home-made gluten free croutons. Need more gluten free recipe inspiration? 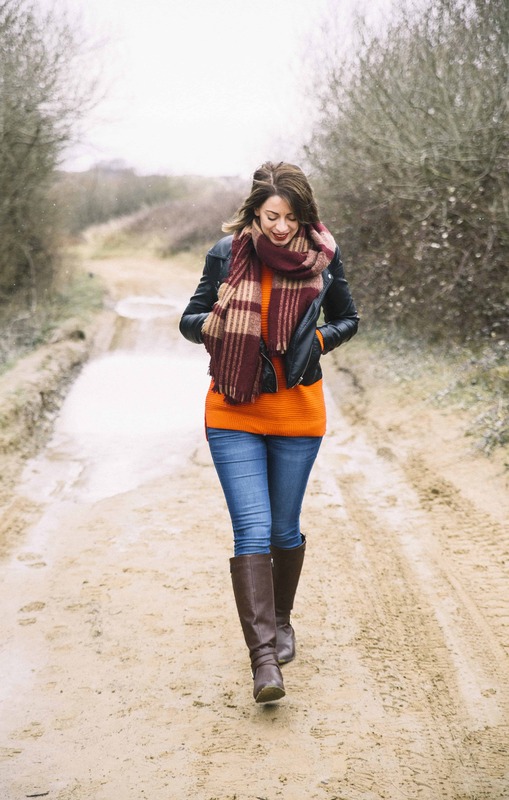 Here are some more gluten free recipes you can try out once you’ve made my tomato soup!